Nifty saw a perfect sell-off in the morning after a flat open, but the responsive buyers took control to move the index just around the previous day’s close. Nifty ultimately closed just a few points down at 5916.40. The broader market in comparison saw huge profit booking, with 599 advances to 898 declines. 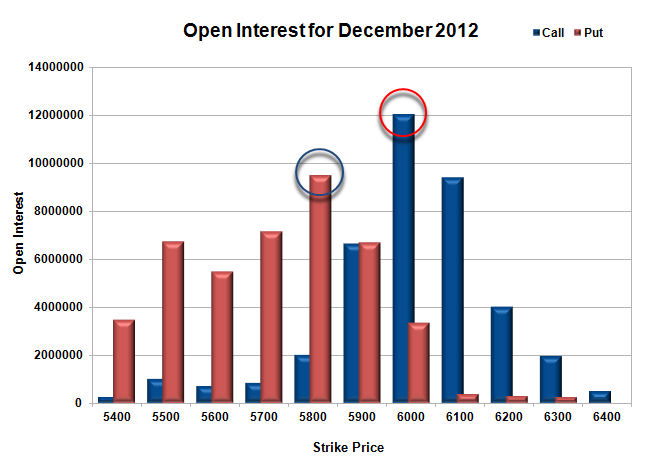 The OI Table is very evenly matched at 5900 level for the time being. Call option 5900-6100 added 12.16 lacs huge amount of OI with huge profit booking seen at 6200 and above strike prices. 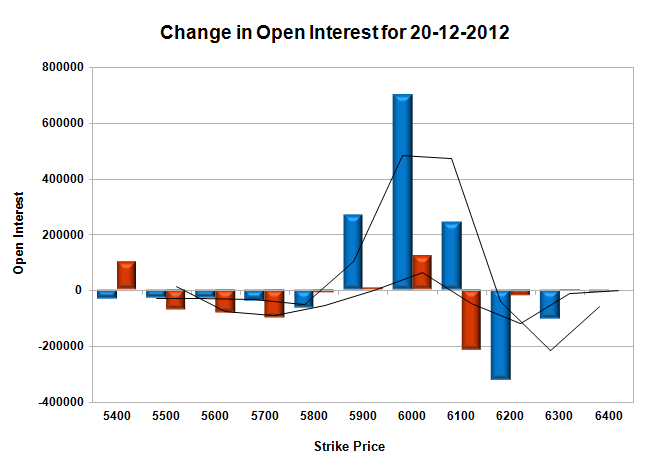 Put Option 6000 added 1.23 lacs huge amount of OI with huge profit booking seen at 5700 and lower strike prices. 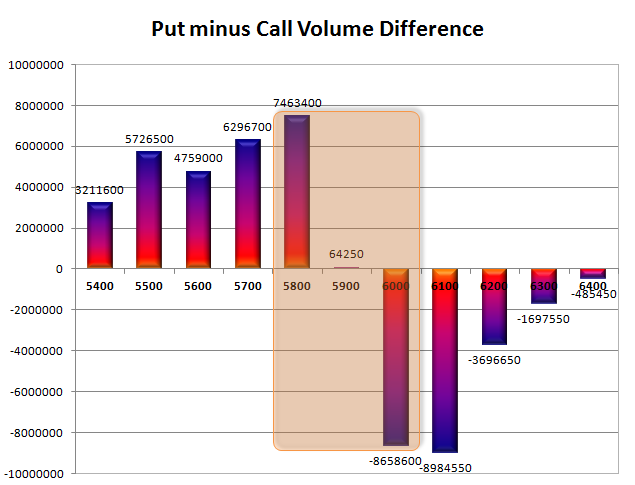 Highest accumulation on Call option 6000 at 1.20 crore & 6100 at 94.0 lacs whereas Put option 5800 at 94.9 lacs & 5700 at 71.4 lacs. Nifty Open Interest is at 1,96,41,700 down by 17,65,750, with 15.37 lacs addition in Jan series mostly rollover with probably some long liquidation. Bank Nifty Open Interest is at 11,12,425 down by huge 58,300, with 38,350 addition in Jan series mostly rollover with small long liquidation. FII’s bought 0.90 lacs of Futures, most probably short covering as their OI also decreased by 3017 contracts, and the average price per contract comes to around 5867. FII’s future open contract as on date is 436326. PCR Open Interest (Volume) is at 1.269. 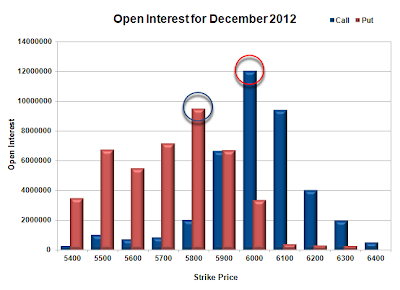 The best support is at 5800PE with OI of 94.9 lacs and below that at 5700 with OI of 71.4 lacs. Huge resistance at 6000CE, with OI above 1.2 crore, and above that at 6100 with OI of 94 lacs. Range as per Option Table is 5868 -5955 and as per VIX is 5872 - 5961 with 5920 as the Pivot.